Image: “Bernie Sanders” by Nick Solari is licensed under CC BY 2.0. 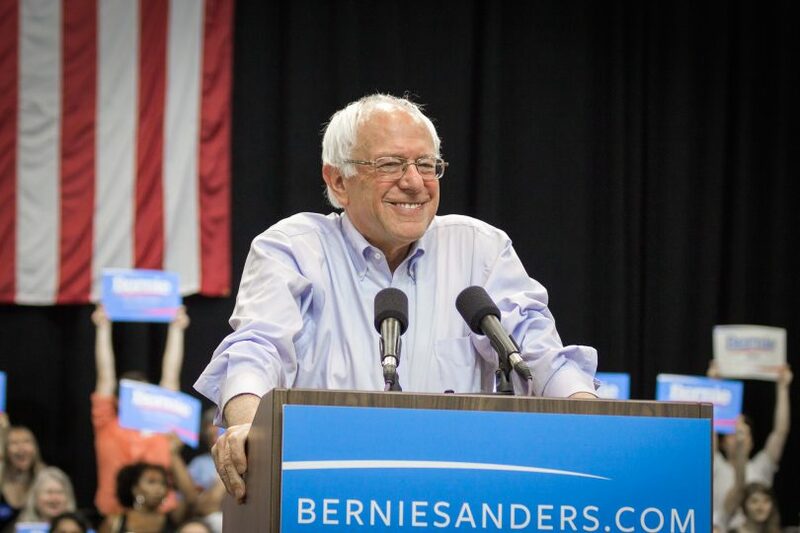 Vermont Senator Bernie Sanders announced his candidacy for the presidency early last Wednesday, Feb. 13, 2019. He’ll be competing in the “crowded field” of the 2020 Democratic Primary where 15 candidates have announced, at the time of writing, as opposed to 2016’s six. Berg also said of the election season, “as someone who organizes, this represents an amazing opportunity. It’s hard to get folks to think introspectively … So with Sanders, there’s already this large built-in audience that are starting to think about the massive inequities in our society.” Berg also said the senator should focus more on policy in his campaign. During his Presidential Exploratory Tour last month, Sanders made a two day visit to South Carolina, a state which he lost in 2016 with 14 percent to Clinton’s 87 percent. Jaime Harrison, a former chair of the state Democratic Party, was quoted in a recent Politico article saying: “[South Carolina] is important because it’s the first state that these candidates will get an opportunity to vet their message with a population that reflects the heart of the Democratic Party, which is African-Americans and specifically African-American women,” a group which the Sanders campaign in 2016 failed to win. Gilda Cobb-Hunter, South Carolina’s longest serving black representative, said of Sanders that “He’s learned from his last run and he recognizes if he’s serious about winning the presidency or the nomination, that he needs to do more to get black voters to know who he is and what he stands for,” quoted in The Post and Courier by Caitlin Byrd.